Intermittent Fasting involves very low or no calorie intake for 1 to 4 days per week, then eating normally on non-fasting days. Supporters claim that this style of eating is more sustainable than traditional diets. Increased fat burning is the most obvious benefit of intermittent fasting. When you go on a fast, your body’s glucose and insulin levels drop significantly. In the absence of glucose, the body turns to fat burning. Fat oxidation rates usually increase after alternate-day fasting. When you fast, your body releases ghrelin, the hunger hormone, which is known to lower inflammation and aid in the treatment of any diseases associated with it. In addition to this, intermittent fasting reduces the number of inflammatory proteins called cytokines. And considering how fasting for just one meal can make a difference, intermittent fasting is often recommended for people with inflammatory disorders. Alternate-day fasting has been found to help reduce levels of triglycerides while improving levels of good high-density lipoprotein (HDL) cholesterol. Both these factors are essential in protecting the heart. In addition to this, intermittent fasting lowers blood pressure and resting heart rate in the same way as intensive exercise does. Fasting boosts the production of the hormone ghrelin, the hunger hormone. This hormone plays an important role in digestion and gut health. It prepares the body for nutrient absorption by secreting gastric acid and stimulating the movements of fluids in the gastrointestinal system. This could be why fasting has been shown to improve symptoms of abdominal pain, diarrhea, and nausea caused by colitis, ischemia, and irritable bowel syndrome. Intermittent fasting is often linked to faster wound healing. However, this isn’t the only benefit that this form of fasting brings with it. It can aid in alleviating contact dermatitis and chronic urticaria, allergic reactions on the skin. It is believed that fasting intermittently can also reduce acne breakouts. 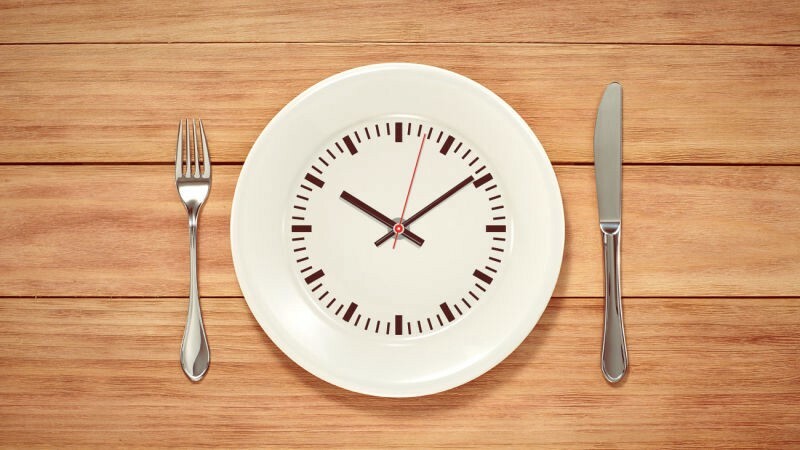 Intermittent fasting could help protect you against the effects of genetic and environmental factors that play a role in the aging of the brain and any associated frailty such as muscle loss. This form of fasting is also associated with the growth of the hippocampus, the part of the brain that is responsible for emotion and memory. Diabetics could benefit from intermittent fasting, provided they do it under medical supervision. Intermittent fasting has been found to hike insulin sensitivity, regenerate beta cells in the pancreas and prevent diabetes complications.